Manitowoc, WI- Dramm is pleased to announce the addition of Tim Reusch as their new Western Technical Representative. 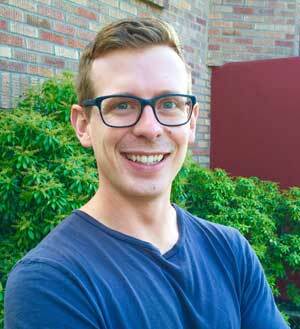 Tim joins the Dramm Corporation out of graduate school where he earned a Masters of Science in Sustainable Food Systems from Montana State University. With experience in hydroponic greenhouses, Tim's experience and education will help Dramm continue to expand into the growing CEA market. In this new role, Tim will be responsible for working with growers and distribution partners throughout his territory to sell, train and support Dramm products. Tim will be based in Seattle, WA and will cover the following states: Alaska, California, Hawaii, Idaho, Montana, Nevada, Oregon and Washington. Tim can be reached at 206/351.4460 or by email at treusch at dramm.com.